The Young Children and Worship book has the story of Jesus in the Wilderness. It describes Jesus' temptation in the desert. Create a small book listing the temptations of Christ or let the little ones color a picture about the scripture. Click on the photos to be taken to the link. 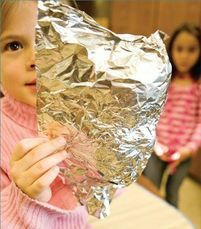 The foil object lesson helps teach the children how to be more like Jesus and not be tempted by shiny false gods. 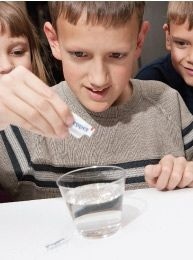 James 4:7-8 object lesson flee from temptation- use salt and pepper as an object lesson. Click on the photos to be taken to the link.